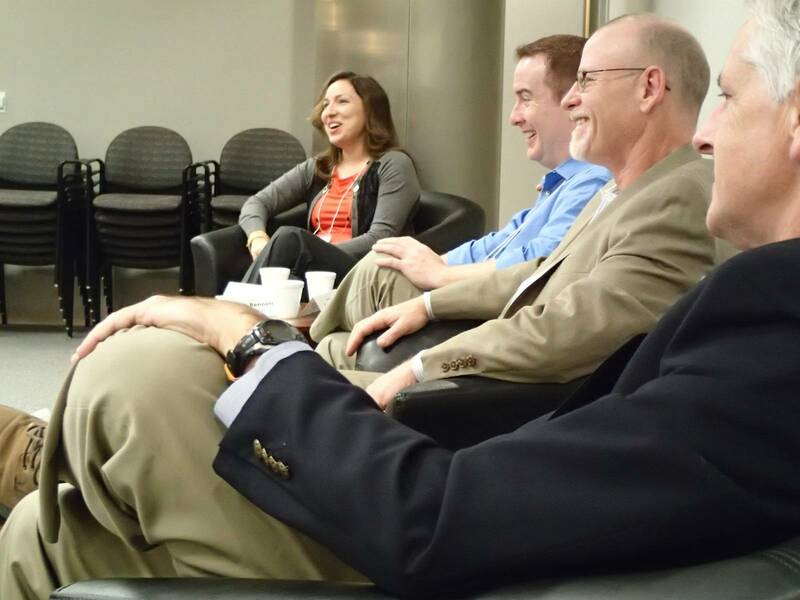 Panelists share a laugh during the “How to Land a Job or Internship” panel at College Media Day, hosted Saturday, Oct. 19 at The Richmond Times-Dispatch. Collegiate Journalists from around the state gathered at The Richmond Times-Dispatch Saturday for the inaugural College Media Day presented by the Virginia Pro Chapter of SPJ. About 40 students turned out to hear workshops and panels about landing jobs and internships, social media, the Freedom of Information Act, column writing, data journalism, photography, how to enter and win journalism contests and WordPress. Speakers included journalists and educators from The Free Lance-Star, The Richmond Times-Dispatch, WJLA-TV, WAVY-TV, WTVR-TV, Virginia Commonwealth University and The University of Maryland and The Progress-Index. Representatives from VCU, UMW, UR, W&M, JMU and U. Va. attended. Students were able to take advantage of one-on-one critiques with professional journalists as well. Twelve students also walked away with one-year memberships to SPJ, courtesy of members and friends of the Virginia Pro Chapter.